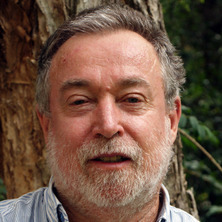 Dr Clive McAlpine’s research interests are in forest fragmentation and its impacts on biodiversity in tropical and sub-tropical forests; wildlife management and modelling and forest mapping and monitoring using remote sensing. He received his PhD from The University of Queensland. McAlpine, Clive A., Seabrook, Leonie M., Adams-Hosking, Christine, Hartley, Karri H. and Skytus, Jozef (2012). Climate change: lessons from Copenhagen and Cancun, and implications for Australia, its regional ecosystems and wildlife. In Daniel Lunney and Pat Hutchings (Ed. ), Wildlife and climate change: towards robust conservation strategies for Australian fauna (pp. 1-2) Mosman, N.S.W., Australia: Royal Zoological Society of New South Wales. Seabrook, Leonie, Etter, Andres and McAlpine, Clive (2010). Environmental history. In Barney Warf (Ed. ), Encyclopedia of geography (pp. 1-7) Thousand Oaks, CA, U.S.A.: Sage Publications. McAlpine, Clive A., Bowen, Michiala E. and Rhodes, Jonathan R. (2010). Landscape and regional perspectives from eastern Australia. In David Lindenmayer, Andrew Bennett and Richard Hobbs (Ed. ), Temperate woodland conservation and management (pp. 231-240) Collingwood, Melbourne: CSIRO Publishing. Jonathan R. Rhodes, McAlpine, Clive A., Zuur, A. F., Smith, G. M. and Ieno, E. N. (2009). GLMM applied on the spatial distribution of koalas in a fragmented landscape. In Alain F. Zuur, Elena N. Ieno, Neil J. Walker, Anatoly A. Saveliev and Graham M. Smith (Ed. ), Mixed effects models and extensions in ecology with R (pp. 469-492) New York , U.S.A.: Springer. McAlpine, C. A., Phinn, S. R., Pople, A. R., Menke, N. and Price, B. (2007). Developing a dynamic landscape approach to the study of arid-zone wildlife: Challenges and opportunities. In Dickman, C., Lunney, D. and Burgin, S. (Ed. ), Animals of Arid Australia Out on Their Own? 1 ed. (pp. 82-95) Mossman, NSW: Royal Zoological of New South Wales. Etter, Andres and Mcalpine, Clive (2007). Modeling unplanned land cover change across scales: A Colombian case study. In Richard J. Aspinall and Michael J. Hill (Ed. ), Land use change: science, policy, and management (pp. 81-98) Boca Raton, Florida, U.S.: CRC Press. Norman, P., Smith, G., McAlpine, C .A. and Borsboom, A. (2004). South-East Queensland Forest Agreement : Conservation outcomes for forest fauna. In Lunney, D. (Ed. ), Conservation of Australia's Forest Fauna 2nd ed. ed. (pp. 208-221) Mosman, NSW: Royal Zoological Society of New South Wales. McAlpine, C. A., Sutcliffe, T. and Taylor, K. (2002). One hundred and fifty years of landscape change for two sub regions of the Southern Brigalow: Patterns and management implications. In A.J. Franks, J. Playford and A. Shapcott (Ed. ), Landscape Health of Queensland 1st ed. (pp. 27-41) Brisbane: Royal Society of Queensland. Loyn, R. and McAlpine, C. A. (2001). Spatial patterns and fragmentation: Indicators for conserving biodiversity in forest landscapes. In R.J. Raison and A.G. Brown and D.W. Finn (Ed. ), Criteria and Indicators for Sustainable Forest Management 1 ed. (pp. 391-422) Wallingford, UK: CABI Publishing. McAlpine, C. A. and Loyn, R. (2000). Assessing and monitoring forest fragmentation: Questions of spatial pattern, scale and methods. In P. Hale, A. Petrie, D. Moloney and P. Sattler (Ed. ), Management for sustainable ecosystems 1st ed. (pp. 109-117) Brisbane: Centre for Conservation Biology, The University of Queensland. Are changes in global oil production influencing the rate of deforestation and biodiversity loss? Chapman, S., Watson, J. E. M. and McAlpine, C. A. (2016) Large seasonal and diurnal anthropogenic heat flux across four Australian cities. Journal of Southern Hemisphere Earth Systems Science, 66 3: 342-360. Bruton, Melissa and McAlpine, Clive (2014) A clear case for regrowth. Australasian Science, 35 7: 48-48. Determining range edges: habitat quality, climate or climate extremes? Are there habitat thresholds in koala occupancy in the semiarid landscapes of the Mulgalands Bioregion? The role of squatters in retention of native vegetation: A case study of the Chyulu Hills, Kenya. Seabrook, Leonie and McAlpine, Clive (2010) Prickly pear. Queensland Historical Atlas: Histories, Cultures, Landscapes, 2009-2010 . McAlpine, Clive and Seabrook, Leonie (2010) The brigalow. Queensland Historical Atlas: Histories, Cultures, Landscapes, 2009-2010 . McAlpine, C. A. (2010) Transformation: how the landscape has changed and been modified. Queensland Historical Atlas: Histories, Cultures, Landscapes, 2009-2010 . McAlpine, C.A., Syktus, J.I. and Ryan, J. G. (2010) Climate change and land clearing: A short note. Australian Zoologist, 35 2: 431-431. Can a problem-solving approach strengthen landscape ecology’s contribution to sustainable landscape planning? Using multiple survey methods to detect terrestrial reptiles and mammals: What are the most successful and cost-efficient combinations? McAlpine, C. A., Peterson, A. E. and Norman, P. (2005) The South East Queensland forests agreement: Lessons for biodiversity conservation. Pacific Conservation Biology, 11 1: 3-13. Harrison, Robert, Wardell-Johnson, Grant and McAlpine, Clive (2003) Rainforest Reforestation and Biodiversity Benefits: A Case Study from the Australian Wet Tropics. Annals of Tropical Research, 25 2: 65-76. McAlpine, C. A., Lindenmayer, D.B., Eyre, T.J. and Phinn, S. R. (2002) Landscape surrogates of forest fragmentation:Synthesis of Australian Montreal process case studies. Pacific Conservation Biology, 8 2: 108-120. Siepen, G. L. and McAlpine, C. A. (2001) Balancing biodiversity with land clearing. Australasian Science, 22 2: 22-23. Chu, Jianting, Syktus, Jozef, McAlpine, Clive, Thatcher, Marcus, Scarth, Peter, Jeffrey, Stephen, Katzfey, Jack, Zhang, Hong, McGregor, John and Adams-Hosking, Christine (2011). Validation of land surface products for modelling the climate impacts of large-scale revegetation in Queensland. In: Chan, F, Marinova, D and Anderssen, RS, MODSIM 2011 - 19th International Congress on Modelling and Simulation - Sustaining Our Future: Understanding and Living with Uncertainty. 19th International Congress on Modelling and Simulation (MODSIM), Perth, Australia, (2676-2682). 12-16 December 2011. Elledge, Amanda E., McAlpine, Clive A., Murray, Peter J. and Gordon, Iain J. (2010). The impact of feral pigs on rainforest dynamics in North-Eastern Australia. In: Proceedings of the 24th Vertebrate Pest Conference. 24th Vertebrate Pest Conference, Sacramento, CA, U.S.A., (46-52). 22 - 25 February 2010. Bayesian networks for restoration planning: Can they be extrapolated to the bioregional scale? Martine Maron,, McAlpine, Clive, Smith, Carl, Smith, Geoff, Bowen, Michiala and Lo Cascio, Amanda (2009). Bayesian networks for restoration planning: Can they be extrapolated to the bioregional scale?. In: Ecology in a Changing Climate: Two Hemispheres - One Globe. 10th International Congress of Ecology, Brisbane, Australia, (). 16-21 August 2009. Bowen, Michiala, McAlpine, Clive, Seabrook, Leonie, House, Alan and Smith, Geoffrey (2009). Bird community recovery in sub-tropical regrowth woodlands. In: Ecology in a Changing Climate: Two Hemispheres - One Globe. 10th International Congress of Ecology, Brisbane, Australia, (). 16-21 August 2009. How do we make landscape ecology an integrated, problem solving science? McAlpine, Clive A., Price, Bronwyn, Seabrook, Leone, Rhodes, Jonathan, Bowen, Michiala, Powell, Owen, Ryan, Justin, Hosking, Christine, Dahl, Kelsey, Smith, Andrew, Robertson, Oliver and Butler, Sarah (2009). How do we make landscape ecology an integrated, problem solving science?. In: Abstracts: Concurrent Oral Presentations. 10th International Congress of Ecology (INTECOL). 10th International Congress of Ecology (INTECOL), Brisbane, Australia, (). 16-21 August 2009. Bowen, M. E., House, A. P. N., McAlpine, C. A., Seabrook, L. and Smith, G. (2009). Relative importance of landscape context of regrowth forests for woodland birds: case study of fragmented brigalow landscapes, Queensland, Australia. In: Making Change in a Changing World. Proceedings of the 19th Conference of the Society for Ecological Restoration International. 19th Conference of the Society for Ecological Restoration International (SER) International 2009 World Conference on Ecological Restoration, Perth, Western Australia, (). 23-27 August 2009. Deo, R. C. K. W., Syktus, J. I., McAlpine, C. and Wong, K. K. (2009). The simulated impact of land cover change on climate extremes in eastern Australia. In: Anderssen, RS, Braddock, RD and Newham, LTH, Proceedings of the International Congress on Modelling and Simulation. 18th IMACS World Congress: MODSIM09 International Congress on Modelling and Simulation, Cairns, Australia, (2035-2041). 13-17 July 2009. Price, B., McAlpine, C. A., Ward, D., Kutt, A and Phinn, S.R. (2008). Continuums of functionality of Australian savanna landscapes: assessing changes over time with remote sensing. In: Proceedings of the Australian Rangelands Society 15th Biennial Conference. A climate of change in the rangelands: the Australian Rangelands Society 15th Biennial Conference, Charters Towers, Australia, (). 28th September - 2nd October, 2008. Pig rooting in lowland rainforests: where, when and what does it do? Elledge, A. E., Gordon, I. J., McAlpine, C. A. and Murray, P. J. (2008). Pig rooting in lowland rainforests: where, when and what does it do?. In: Proceedings of the 14th Australasian Vertebrate Pest Conference. 14th Australasian Vertebrate Pest Conference, Darwin, Australia, (159-159). 10-13 June, 2008. Seabrook, L., McAlpine, C., Baxter, G., Bradley, A., Rhodes, J., Price, B. and Lunney, D (2008). The conservation of widely distributed species: Implications of the differences between western and eastern koala populations. In: Proceedings of the Australian Rangelands Society 15th Biennial Conference. The Australian Rangelands Society, 15th Biennial Conference, Charters Towers, Australia, (). 28th September - 2nd October, 2008. Price, B., McAlpine, C. A., Phinn, S. R., Kutt, A. S., Ward, D. and Ludwig, J. A. (2008). Using remote sensing technology to assess spatial and temporal variability in the functionality of Australian savanna ecosystems. In: B. Burkhard, F. Mueller and W. Windhorst, Workshop proceedings: Ecosystem services: solution for problems or a problem that needs solutions?. International Association for Landscape Ecology (IALE) Workshop, Salzau Castle, Germany., (). May 13-15, 2008.
van Klinken, Rieks D., Seabrook, Leonie, Smith, Carl, Ryan, Justin and McAlpine, Clive (2008). Using spatial models and a Bayesian belief network to predict risk of Parkinsonia invasion at a landscape scale in northern Australia. In: R.D. van Klinken, V. A. Osten, F. D. Panetta and J. C. Scanlan, Proceedings of 16th Australian Weeds Conference : Weed Management 2008: hot topics in the tropics.. 16th Australian Weeds Conference, Cairns Convention Centre, North Queensland, (194-194). 18-22 May, 2008. Bowen, Michiala, McAlpine, Clive, House, Alan and Smith, Geoffrey (2007). Ecological values of regrowth vegetation for bird conservation and recovery in highly fragmented landscapes: A brigalow case study from sub-tropical Australia. In: R. Bunce, R. Jongman, L. Hojas and S. Weel, 25 years of landscape ecology: Scientific principles in practice. The 7th International Association for Landscape Ecology World Congress, Wageningen, The Netherlands, (). 8-12 July 2007. Conserving South-East Queensland Koalas: How much habitat is enough? McAlpine, C. A., Callaghan, J., Lunney, D., Bowen, M. E., Rhodes, J. R., Mitchell, D.L. and Possingham, H. (2005). Conserving South-East Queensland Koalas: How much habitat is enough?. In: Proceedings of the SEQ Biodiversity Conference. SEQ Biodiversity Conference 2004, Gatton, Queensland, (11-17). 30 June - 2 July, 2004. Rhodes, J. R., McAlpine, C. A., Lunney, D. and Callaghan, J. (2005). Evaluating natural resource management strategies under parameter uncertainty: An outranking approach applied to koala conservation. In: Andre Zerger and Robert M. Argent, International Congress on Modelling and Simulation. MODSIM 2005 International Congress on Modelling and Simulation, Melbourne, Australia, (2540-2546). 12-15 December 2005. McDonald, Geoff, Taylor, Bruce, McAlpine, Clive and Vagg, Adele (2005). Evaluating regional resource management plans. In: Jennifer Bellamy, Regional Natural Resource Management Planning: the challenges of evaluation as seen through different lenses. CSIRO Sustainable Ecosystems Symposium, Occasional Symposium, Brisbane, Australia, (11-18). 15 October 2004. Bowen, M. E., McAlpine, C. A., House, A. and Smith, G (2005). Landscape change and restoration potential for bird habitat in fragmented Brigalow landscapes of southern Queensland. In: Ecological society of Australia Brisbane 2005: Programme and abstracts. Ecological society of Australia Brisbane 2005 (ESA 2005), Brisbane, Australia, (182-182). 29 November - 2 December 2005. Ryan, J. G. and McAlpine, C. A. (2005). Simulating the Feedback Between Land Cover Configuration and Ecohydrological Functioning in Complex Adaptive Landscapes. In: Zerger, A and Argent, RM, Modsim 2005: International Congress On Modelling and Simulation: Advances and Applications for Management and Decision Making. International Congress on Modelling and Simulation (MODSIM05), Melbourne Australia, (758-764). Dec 12-15, 2005. Ryan, J. G. and McAlpine, C. A. (2005). Simulating the feedback between land cove configuration and ecohydrological functioning in complex adaptive landscapes. In: Andre Zerger and Robert Argent, Advances and Applications for Management and Decision-Making. MODSIM 2005, University of Melbourne, (758-764). December 2005. Bowen, Michaela, McAlpine, Clive, House, Alan and Smith, Geoffrey (2004). Quantifying the role of Brigalow (Acacia harpophylla) regrowth in the conservation and recovery of avifauna in the Brigalow Belt South Bioregion (Qld). In: Birds Brigalow and Biodiversity. Birds Australia Congress, Highfields, Australia, (). 10-12 September 2004. Seabrook, L., McAlpine, C. A. and Phinn, S. (2003). An ecological history of koala habitat in the Noosa Shire, south-east Queensland, 1860-1997. In: Proceedings of the Australian Koala 2003 Annual Conference. Australian Koala 2003 Annual Conference, Noosa, Queensland, (). 2003. Temple-Smith, D, McDonald, G and McAlpine, C (2003). An integrated decision support framework for ecosystem management at the local scale. In: Beriatoss, E, Brebbia, CA, Coccossis, H and Kungolos, A, Sustainable Planning and Development. 1st International Conference on Sustainable Planning and Development, Skiathos Isl Greece, (661-670). Oct 01-03, 2003. Scarth, P., McAlpine, C. A. and Phinn, S. R. (1999). Inegrating high and moderate spatial resolution image data for mapping forest age structure. In: Proceedings of the North Australian Remote Sensing and GIS Conference. North Australian Remote Sensing and GIS Conference, Northern Territory Univ., Darwin, (CD Rom). 28-30 June, 1999. McAlpine, C. A. (1995). Linking macropod abundance with landscape heterogeneity. In: M.J. Page and T.S. Beutel, Proceedings of the Ecological research and management in the Mulgalands Conference. Ecological research and management in the Mulgalands Conference, Gatton College, Australia, (189-196). 5-6 July,1994. Bellamy, J. A., Lowes, D. L.., Bischof, R. J., McAlpine, C. A. and McLeod, I. M. (1995). Linking spatial data and Knowledge-based systems to model cattle grazing utilisation patterns in rangelands. In: Proceedings of the NARGIS 95 : 2nd North Australian Remote Sensing and Geographic Information Systems Forum. NARGIS 95 : 2nd North Australian Remote Sensing and Geographic Information Systems Forum, Darwin, NT, Australia, (). 18-20 July, 1995. McAlpine, C. A. (1994). A strategy for the spatial analysis of kangaroo and euro habitat heterogeneity in Queensland's rangelands. In: Proceedings of Resource Technology '94 : new opportunities, best practice. Resource Technology '94 : new opportunities, best practice, Melbourne, Australia,, (381-392). 26-30 September, 1994. Bruton, Melissa and McAlpine, Clive (2014, February 01). Reptiles in the regrowth. Decision Point, p.8-9. Urban wetlands: a comparative analysis of ecological and governance transformation in South Asia. Spatial ecology of invasive meso-size predators in agricultural landscapes. The Role of Unplanned Human Settlements in Land Cover Change: A Case Study of The Chyulu Hills Squatters, Kenya. Mangroves and fisheries: Are there links between coastal habitats and fisheries production?